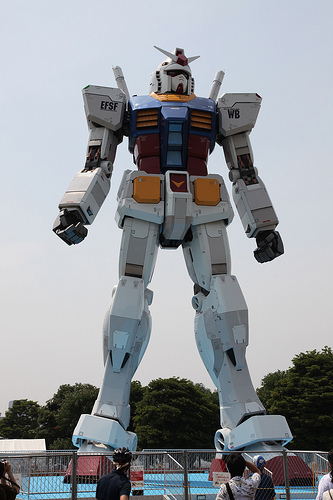 Last summer, JAPAN Style introduced the 1/1 scale Gundam in Odaiba, Tokyo, which became quit popular in Japan. It’s not broadly known, but there is another Gundam figure that has been popular among fans. 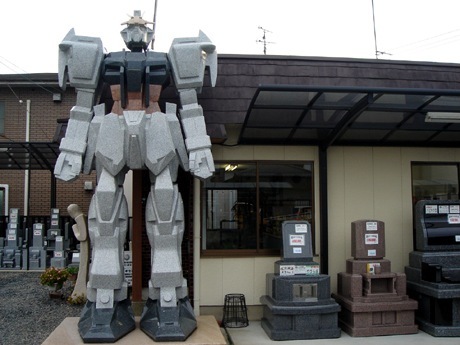 It is a Gundam (like) stone statue at a stone store in Yasu, [W:Shiga Prefecture]. This statue is four meters tall and weighs ten tons. According to the owner, he made the parts with granite and put together. Although he made it as the drawing card of the store, he didn’t know much about Gundam.